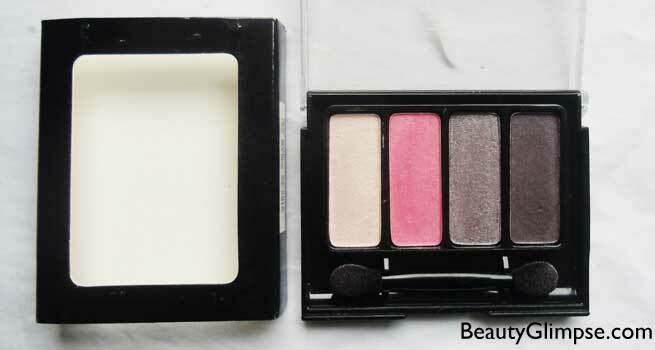 Today, I am going to review an eye shadow palette from Faces which has four shades in it. My daily makeup regime does not include eye shadows. I have used many products from Faces and every product has worked well on me so my expectations were high with this quad too. Price: Rs. 299/- for 7 gm. They are available in three variants i.e. wine timed, aquamarine and mauve taupe and I picked the wine timed because of my love for pink eye shadows. The eye shadow quad comes in a black see through case with Faces logo on top of it. Shade name, ingredients, directions to use, expiry date etc are written at the back… the packaging is cute but nothing fancy about it. There is an applicator inside which is two sided but it’s useless and hard to work with. Mirror is missing from the quad and if you are carrying it around then you should have a separate mirror too. The first shade is bright pink but it’s more of white. It is highly pigmented among the four shades, it brightens up eyes instantly and you just need 2 swipes each time. 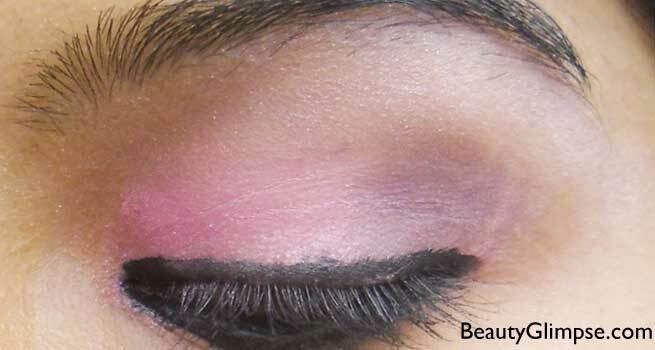 The second shade is candy pink shade and it is also highly pigmented and it great for daily wear. The thirds and the fourth shades are not very pigmented but you can build the pigmentation by swiping it multiple times. The texture is not powdery or chalky and it blends easily even though the brush provided with the quad is useless but it can be used with another good brush. 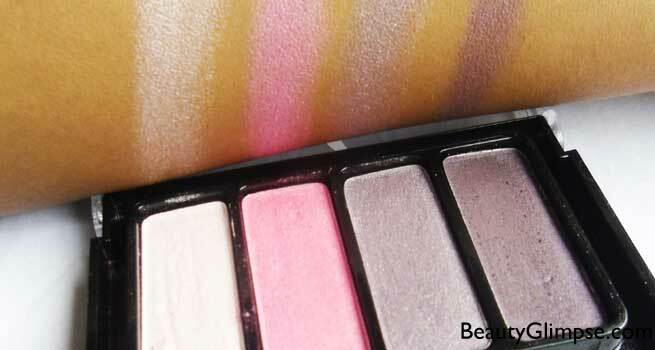 The colors are not chunky even though they contain slight shimmers and this quad can be used for daily wear. The staying power is quite good as it stays for around 3.5 hours on my oily lids that too without a primer……This is commendable. 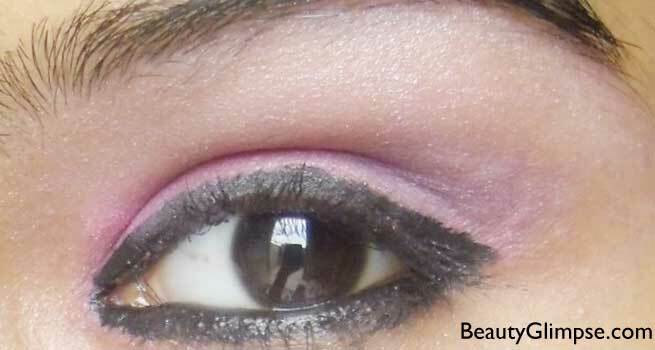 If you are new in makeup world and looking for eye shadow then this one is perfect to get. Bright pink and dark plum shade has slight fall out but I can overlook it ;). The list of ingredients is also mentioned on the back of the quad. Overall, I think this is a good quad and worth the price. 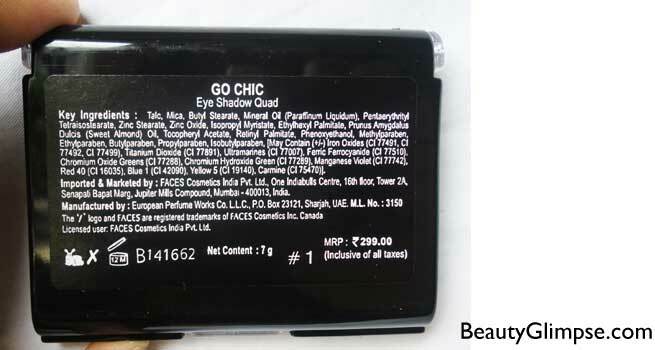 Recommendation: Ladies, who don’t want to spend a fortune on eye shadows, should definitely give this quad a try as it is decently pigmented, stays for 4 hours (approx) and affordable too. There are two more variants available so you can choose accordingly.